New. 2010. First Edition. Paperback. "Originally published as Superman annual 11, DC Comics presents 85, Superman 423 and Action Comics 583"--T.p. verso. Illustrator(s): Swan, Curt; Gibbons, Dave. Num Pages: 128 pages, illustrations. BIC Classification: FXS. Category: (Y) Teenage / Young Adult. Dimension: 256 x 169 x 4. Weight in Grams: 240. Whatever Happened to Man of Tomorrow. 128 pages, illustrations. Illustrator(s): Swan, Curt; Gibbons, Dave. "Originally published as Superman annual 11, DC Comics presents 85, Superman 423 and Action Comics 583"--T.p. verso. Cateogry: (Y) Teenage / Young Adult. BIC Classification: FXS. Dimension: 256 x 169 x 4. Weight: 192......We ship daily from our Bookshop. Various. New. Trade paperback (US). Glued binding. 127 p. Contains: Illustrations. Superman (DC Comics). Intended for a young adult/teenage audience. New. 1401227317 Ships from Tennessee, usually the same or next day. Fair. 1401227317 **PLEASE NOTE** This book is in poor cosmetic condition. There may be heavier water damage/Wear & Tear/Heavier writing/highlighting. **Ask for photos before buying. We do not mind letting you see before your purchase**. Book will work for the semester, but is cosmetically worn-out. Regardless of title, CD/DVD/Access Codes or Supplemental Materials are not guaranteed. This book is not a rental. 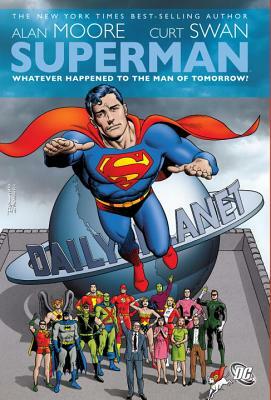 All Editions of Superman: Whatever Happened to the Man of Tomorrow?